My younger sister had a picnic wedding celebration here in Gainesville (after their earlier nuptials in Cyprus). So I have a special place in my heart for picnic weddings. I found these picnic wedding pics that inspired me. Would you feel comfy sitting on a blanket? 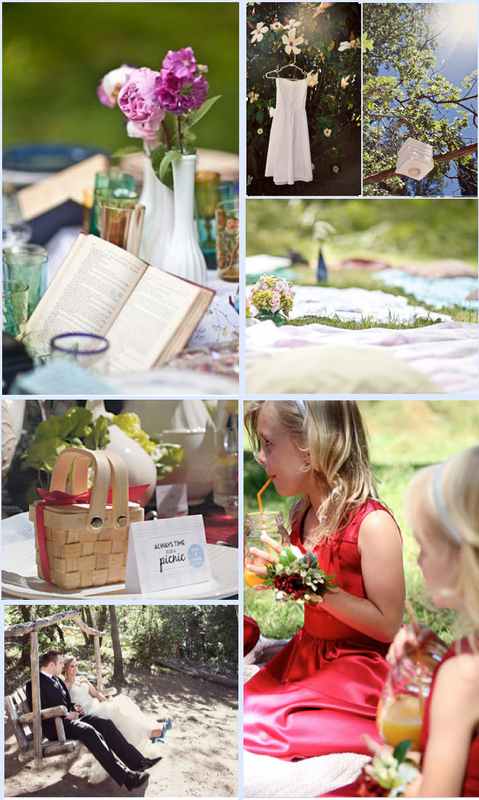 Photo credits...all clickable: dresses, book on blanket & random blankets on lawn, tiny picnic basket favor, couple on swing & lantern in tree, bridesmaids on blanket. dress hanging from flowering tree....ahhh...love it.